The Vietnam Women’s Memorial, Washington D.C. November 4, 2014. Today is a day for Washington D.C. Memorials plus one wildlife image. It was a beautiful day in D.C. and all kinds of people were out visiting the monuments and memorials. It was our first trip there in quiet a number of years so there were a lot of new (at least for us) memorial to see. 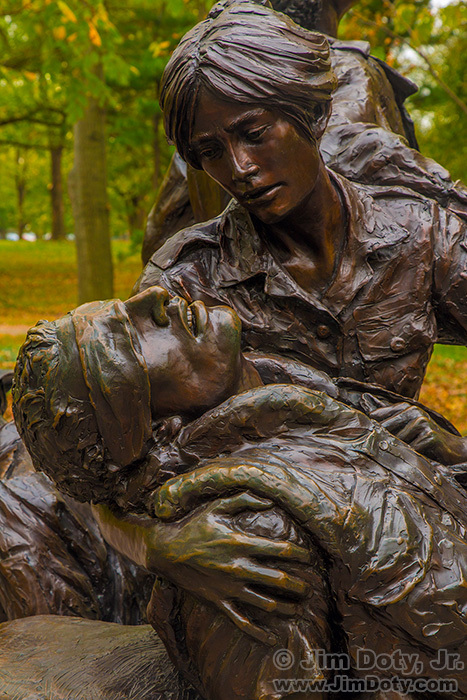 It is hard to pick a favorite image from this date, but I decided on the Vietnam Women’s Memorial. I spent a lot of time there trying different photo angles. I also want to get the right just light. Clouds were coming and going and I wanted to capture this memorial in soft light to better capture the variations of color in the bronze. Korean War Veterans Memorial, Washington D.C. November 4, 2014. 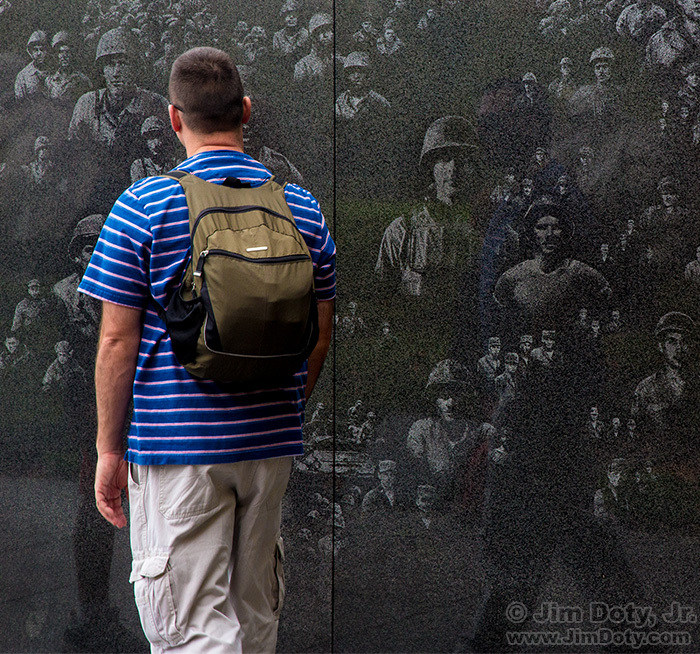 My second favorite image for this date is the Korean War Veteran’s Memorial. I was intrigued by the faces sand blasted into the granite. These are the faces of over 2400 real soldiers, all of them taken from photographs in the national archive. People have walked along the Mural Wall and spotted a face that they know. Thomas Jefferson Memorial, Washington D.C. November 4, 2014. 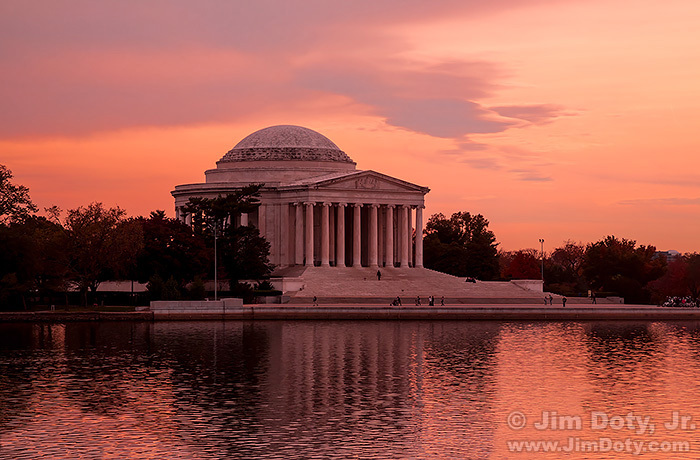 We were leaving Washington D.C. and driving by the Jefferson Memorial in the beautiful sunset light. I stuck my camera out the car window and took this picture as we drove by. Not the preferred way to capture an image, but it worked. This is my third favorite image for the day. The monuments and memorials in Washington D.C. are a great place to take pictures. 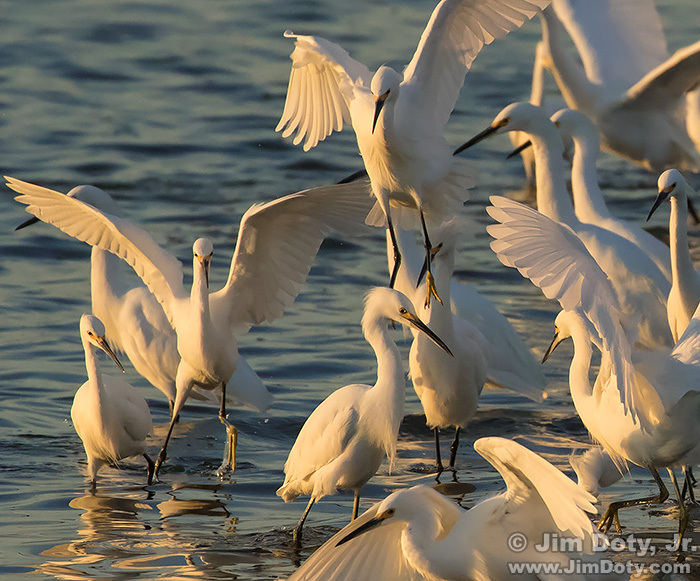 Snowy Egrets, Don Edwards San Francisco Bay National Wildlife Refuge, Fremont, California. November 4, 2016. I was at one of my favorite places in California, the Don Edwards San Francisco Bay National Wildlife Refuge. Water was flowing from San Francisco Bay into one of the refuge ponds via a small inlet, bringing a bunch of small minnows into the pond. Snowy Egrets and Great Egrets (not visible in this photo) had gathered near the inlet to feast. This is my fourth favorite image for this date.